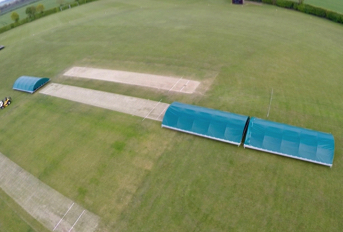 As the winner of the Nidderdale League’s ground award for their division for the past seven seasons, it’s fairly safe to say that Raskelf Cricket Club takes its grounds management pretty seriously – including its cricket pitch covers. 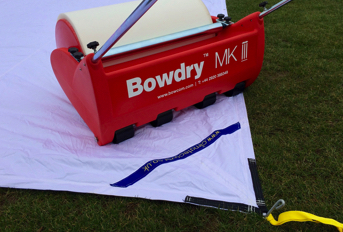 When looking to replace its ageing self-built ground covers recently, the club spent a significant amount of time researching the market. 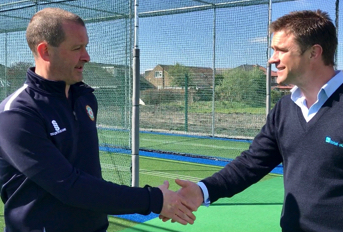 With funding raised through a combination of Section 106 contributions to the council from new housing developers, an ECB Small Development Grant and the club’s own fundraising activities – including takings from the bar and BBQ when the club hosted the annual T20 cup finals day in 2015 – just shy of £4,000 was available to invest in a new solution. 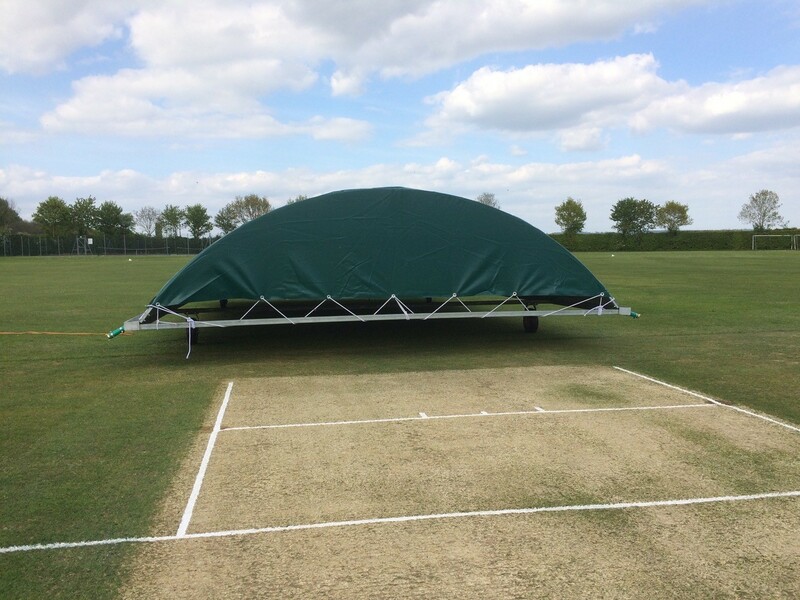 “These new covers are much lighter than our old ones such that one person can easily push them on and off, and they are also wider so reduce the chance of water running underneath. 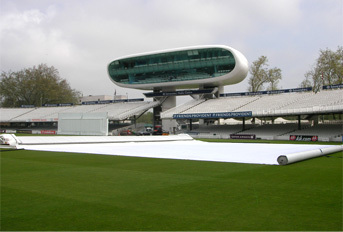 The Geka connections are water tight and make it easy to detach the pipes leaving them in situ for temporary cover removal and replacement in variable weather conditions. 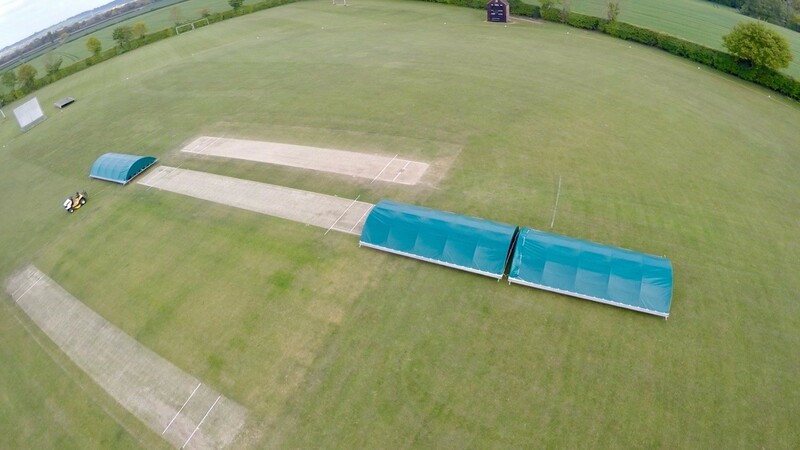 The Rain Defender range of Mobile Pitch Covers (MPC) has been designed to offer quality, a­ffordability and value for money. 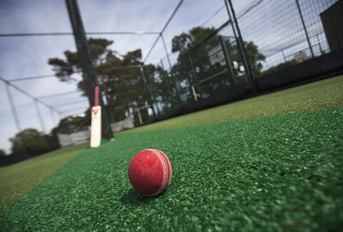 The range of solutions have been designed to suit a variety of needs and budgets and includes PVC and steel-topped options with both dome and apex styles on offer. 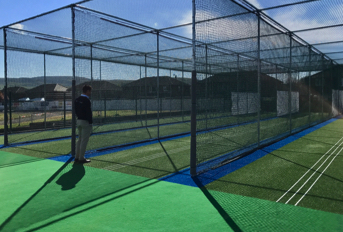 All of the covers are manufactured by total-play Ltd in-house using the highest quality materials with maximised longevity and practicality in mind.